General informations for foreign patients. We examine benign and malignant diseases of the human body using state of the art imaging techniques. 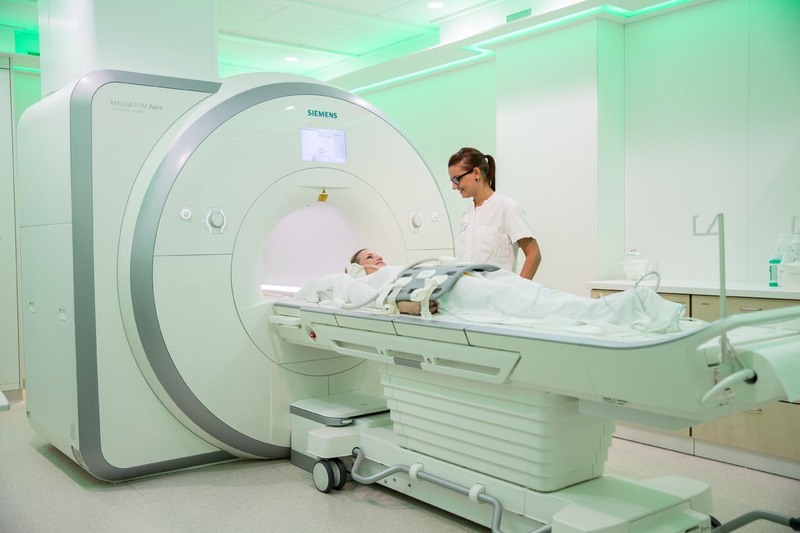 We offer a full diagnostic imaging service providing the latest diagnostic imaging techniques: Computed Tomography (CT-Scan), Magnetic resonance imaging (MRI), Ultrasound examinations and Digital Radiography. With interventional radiology treatments we can treat blocked or narrowed blood vessels and bleedings as well as tumors by using minimally-invasive catheters. Gynecologic Imaging deals with the detection of breast cancer as well as pelvic tumors. The section Pediatric Radiology is specialized in diagnostic imaging in children. The section Medical Physics constitutes an important part of our department. There is a close cooperation with our research colleagues who develop new techniques in the field of in-vivo Magnetic Resonance. For individual health care we offer special cardiac and vascular examinations.